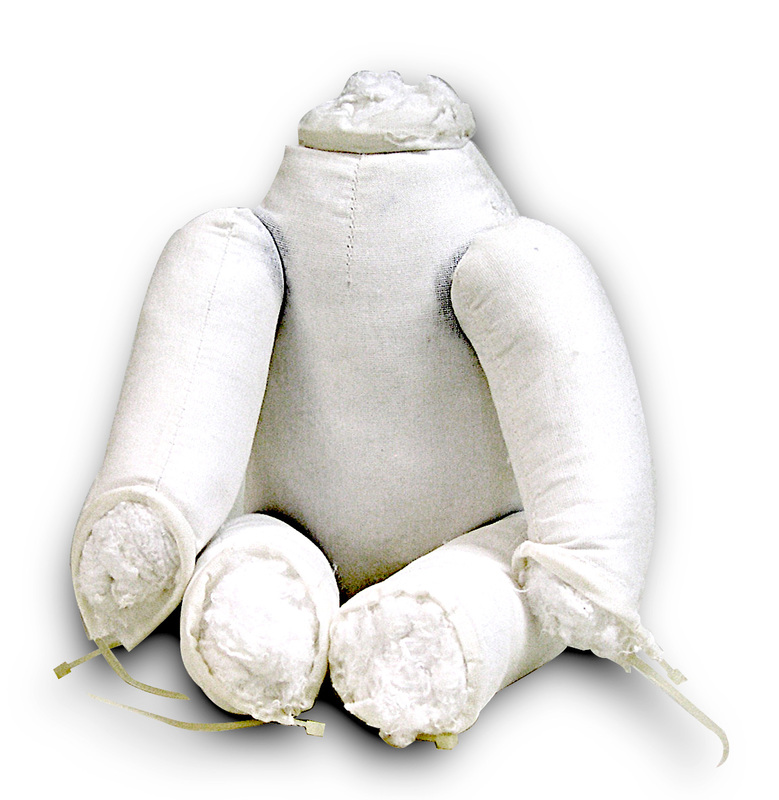 Fiber-filled White Fabric Doll Body includes sewn-in plastic zip ties on arms, feet and neck. Makes a finished doll size of 14" to 16". Cloth body is firmly filled with fiber stuffing. Legs and arms are jointed.